Harry Finley created the images. Below: From p. 25, February 1931, "Cooperation." Punchball is a sport similar to baseball but without a pitcher, catcher, or bat. It is a pastime of football announcer Al Michaels, who often played with former Chicago Bears quarterback Sid Luckman. 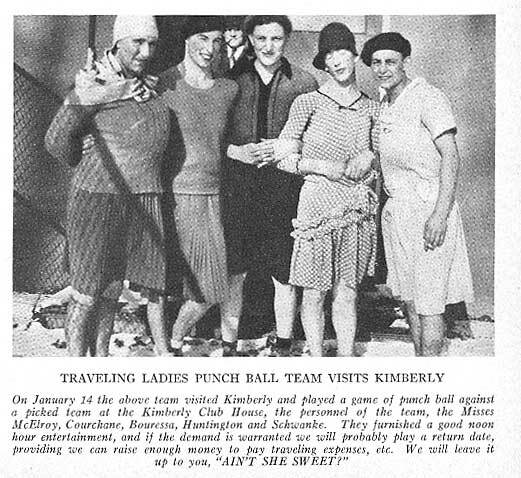 Kimberly, by the way, is the company town that K-C created for the employees of its factories.